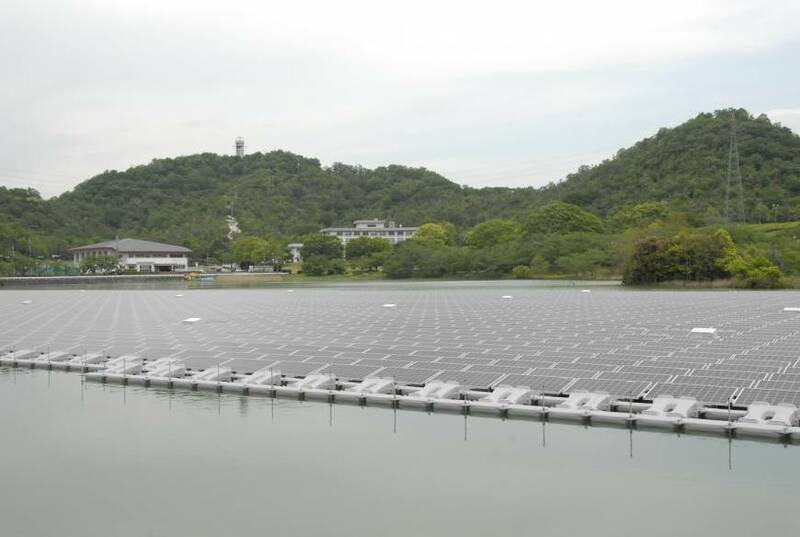 KOBE - Kyocera Corp. started Thursday operating the world’s biggest floating solar power station, a 2.3-megawatt facility in western Japan that will help utilities improve the efficiency of solar-produced electricity. 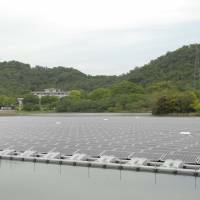 A joint venture led by the Kyoto-based electronics maker opened the “mega-solar” station on the surface of a reservoir in nearby Hyogo Prefecture, using 9,072 waterproof solar panels installed on a float made of high-density polyethylene. The station measures 333 meters in length and 77 meters in width, or around 25,000 sq. meters. It produces around 2,680 megawatt-hours of electricity per year, meeting the demand of some 820 households, Kyocera said. All the electricity produced will be sold to Kansai Electric Power Co. in Osaka for about ¥96 million ($780,000) annually. Floating stations help prevent excess heat in solar panels compared with land-based stations, enabling higher efficiency in power generation, Kyocera said.